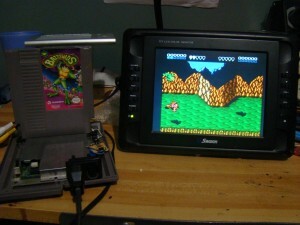 Thats right Boys and Girls, Toploader NES A/V mods! Get all the benefits of the NES-101 (It actually works when you put a game in!) with none of the drawbacks! Sporting a sleek stylish 3.5mm Phono Jack for composite video output and mono sound, and now with 100% more power LED. More info on the mod and some pretty pictures after the jump. 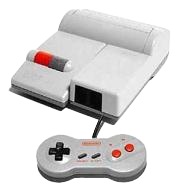 There are loads of different articles online about doing this type of AV mod for the toploader NES. The specific schematic used here was based on a version from fellow modder Parker Dillman over at The Longhorn Engineer, with the resistor values altered slightly. 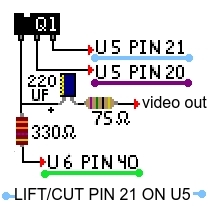 Here is a fancy little pixel-art version schematic of the AV mod circuit. 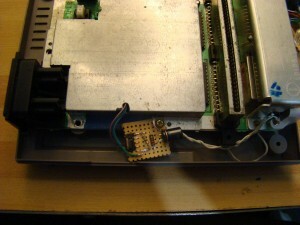 Installing the AV mod board is rather simple; you only have to drill one hole on the back of the NES case for the phono jack. 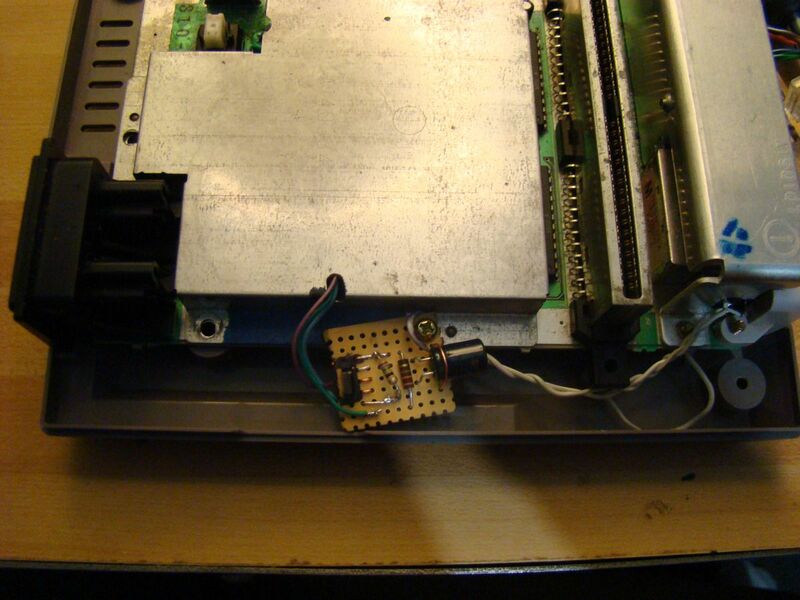 Installing the full kit consists of soldering 4 color-coded wires, clipping one pin on the NES cpu chip, and desoldering and moving a transistor from the NES to the mod board itself. You can also supply your own NPN transistor as an alternative if you don’t want to reuse the one from the NES, or accidently damage it upon removal. Image quality is significantly improved over the standard RF out, free from jailbars, fuzzy graphics, and weird random lines/interference that you would commonly see on the original RF output. Expect a step-by-step how-to guide on building and installing this mod very soon, complete with more sweet pixel art and more detailed photos!